This entry was posted on July 29, 2015, 6:28 pm and is filed under current events, Economy, Essays, humor, musings. You can follow any responses to this entry through RSS 2.0. You can leave a response, or trackback from your own site. Thanks, Joe. It’s good to know I’m not alone on this issue. Great post! So true! I got sick and tired of the razor rip-off about two years ago. I was using a four-blade Gillette something or otherand the blades were way too expensive and they did NOT last nearly long enough (they claimed one set of blade would last a month – sure, if you wanted to scrape your face off)/ So I switched to the razor in your photo – the “mom and dad” razor, an edwin jagger chrome safety razor that will last forever. I get a pack of 100 Astra blades from Amazon for about $10. Each blade is good for 2/3 shaves. You’re right, you need to be a little more careful. With the GIllete blades, I seem to recall getting a smoother shave by pressing harder. WIth a real blade, you need to go lightly, like sweeping with a broom . But you get used to it, and then it’s totally great. . 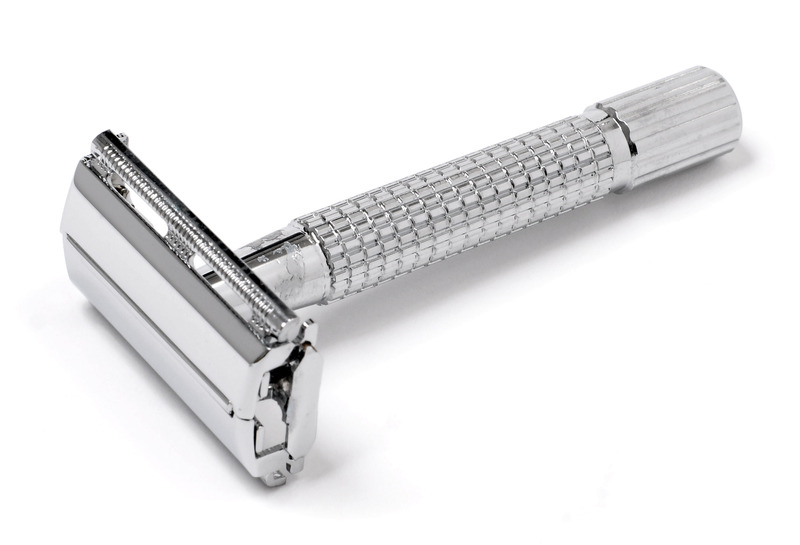 When I went back to a Gillette razor on a cruise ship I was surprised how crappy it actually was.